SK Gaming is thrilled to announce the latest addition to the SK Gaming family - our new League of Legends team. They have so far competed under the name Team Dimegio and are truly a top-tier League of Legends team chaining back to back successes in the vast majority of tournaments they participated in, including five 1st place and three 3rd place finishes in the ESL Go4LoL series. 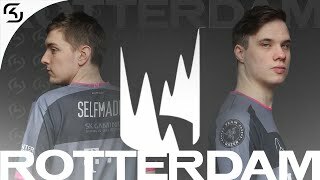 We sat down with Carlos 'ocelote' Rodr&iacute;guez Santiago, former SK.WoW player and the new SK.LoL member, and asked him some questions. Hello Carlos, please introduce yourself and the new SK Gaming League of Legends line-up to the fans and visitors! "Hello all! First of all we would like to give Dimegio our best wishes for the future, because to be honest, they were very well behaved with us the time we stayed together. We are a relatively new League of Legends team lead by an extremely good leader and our goal is to stay on top of the game for as long as possible. To be honest, we had the luck of having a teamleader that gathered the best this game has to offer, in their specific roles, under the same roof. Alvar 'Araneae' Martin Alenar - Our team captain. Not just in my opinion, but most top players would agree as well, probably one of the best supporters in the world. Also an extremely balanced player overall and the best team captain that a team could have. Christoph 'nRated' Seitz - He is our in-game leader. Thinks fast, learns from mistakes and is a very balanced player in almost every role he plays. The perfect team-player. Adam 'rashaasii' Olofsson - One of our two tanks. Who said tanks can't carry the game? You are wrong. A 'Balls of steel' player without any doubt. Benjamin 'SleazyWeazy' Hiller - Our other tank. This is a kind of player that everyone wants in their team. Perfect tank, very nice AD carry. Also he creates a nice atmosphere in the team all the while performing flawlessly. Mike 'Wickd' Petersen - Our AD and AP carry. Extremely offensive player. Extremely good creeper. Extremely confident. Franzetti 'Alth0r' Romain - Probably one of the best LoL players overall. Has the mentality of a winner. Also, everytime he fails or loses, instead of whining or pointing fingers at others, he just does his best to not do the same mistake again. 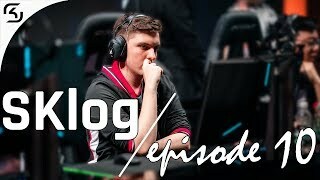 Carlos 'ocelote' Rodr&iacute;guez Santiago - I am our AD and AP carry player." You've been in SK Gaming before, namely in the SK.WoW team. Does your experience with WoW arena and playing competitively in general help you now in League of Legends? If yes, how? "Except for the obvious differences, World of Warcraft and League of Legends are very similar. I mean, it's like a 40% individual - 60% teamplay environment approximately and also the skillcap of both games is a lot higher than most people think. In my opinion, the time I played World of Warcraft helped me so much in playstyle terms with League of Legends. Also, the experience thought me a lot about professional eSport and gaming in general. I'm happy and very proud of being part of SK Gaming once again. I'm pretty sure this is the perfect combination and I hope we'll work together for many years." 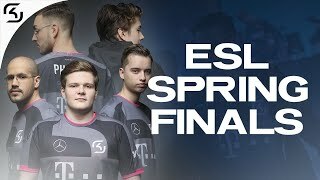 Team Dimegio/SK Gaming is widely considered to be one of the very best League of Legends teams in the world at the moment. You're ranked 1st in the ESL Go4LoL rankings quite decisively and will soon compete in the $100,000 Season One Finals. Tell us a bit more about your accomplishments so far and your plans for the future. "As you said, at this moment we are ranked 1st in many tourney-based rankings, but this is just a number. 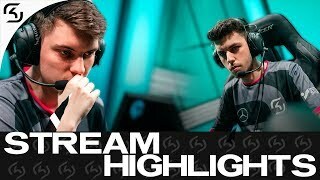 We need to carry on training hard to stay on top of the League of Legends scene. Talking about the future, we are working and training very hard to win every tournament, event or ladder we compete in, including the upcoming $100,000 Season One Finals. Winning is our common goal, it's what keeps us going forward. Every one of us has the SK Gaming winner gene in ourselves. We want to become an important pillar in the SK Gaming organization and bring victories to this family." That's it for now. Thanks for introducing yourself and your teammates to us and the fans. We're all very glad to have you with us! Anything else you'd like to add? "Many people play League of Legends, many sponsors support the game and many new tournaments and offline events are coming out lately; this game is pure gold in good hands. As soon as replays mode is implemented, this game will get a great boost on the eSport scene. After testing DotA, HoN and other similar games, I firmly belive that League of Legends is the future of this genre. Riot is doing a great job and are creating an eSport colossus and we'll be here to enjoy that." You can watch them perform live on ESL TV, Thursday, 16th, December 2010 at 20:00CET in the ESL Major Series VII LoL finals, as they compete for the €1,500 worth first place. SK Gaming would like to take this opportunity to wish our new team the best of luck in their future endeavors! 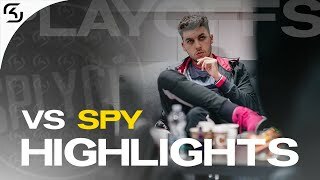 [coL]jaH`:"We are our greatest adversary!"